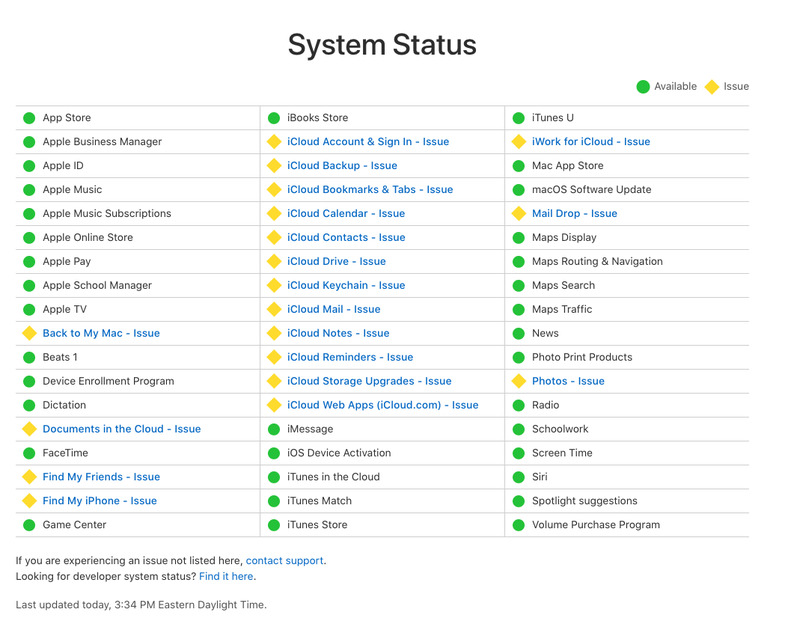 It’s not just you – several iCloud services are experiencing problems, according to Apple’s system status dashboard. “Users may be experiencing slower than normal performance with this service,” Apple’s website explained, adding that “some users” are affected. All issues were resolved at 4:55 A.M. Eastern time the next day, according to Apple’s website.